Two recent studies in the Archives of General Psychiatry show that environmental factors play a major role in the development of autism. The findings are significant because for decades, the mainstream medical establishment has steadfastly maintained that the causes of autism are primarily genetic. However, some experts, and many parents, have known for years that the causes of autism are largely environmental. In fact, autism is believed by many to be caused by a genetic susceptibility followed by an environmental trigger or triggers. The rate of autism has increased tenfold in the past 15 years, a rise that cannot be solely attributed to factors such as changes in diagnostic criteria. In the first study, researchers examined 192 pairs of identical and fraternal twins from California. Each pair had at least one twin with autism. The study showed that environmental, or non-genetic factors in the womb, may significantly influence whether a child develops autism. The study showed that when one identical twin had autism, his or her twin only had autism about two-thirds of the time, a figure lower than expected, since identical twins have the same DNA. Meanwhile, fraternal twins in the study both had autism about one-fourth of the time, which was higher than anticipated, because fraternal twins are no more likely to have similar DNA than any other siblings, yet they share the same womb at the same time. In a smaller study, antidepressant use by pregnant mothers during the year before giving birth, especially during the first trimester, was found to lead to an increased risk of having children with autism. Exposure to SSRIs including Prozac, Zoloft, Luvox, Celexa, and Paxil in the womb increased the risk of autism 2.2-fold. Some language on government websites about the safety of certain drugs is shockingly, recklessly contradictory. Abby Wambach’s goal vs. Brazil: greatest goal in U.S. women’s soccer history? Abby Wambach just scored in the final seconds of extra time to tie the game between the U.S. and Brazil 2-2 in the quarterfinals of the World Cup in Germany. Megan Rapinoe set up the goal with a beautiful left footed cross, high in the air, and Wambach headed it in past the Brazilian goalie. This was the greatest goal I’ve ever seen in women’s soccer considering the stakes – the U.S. would have been knocked out of the tournament with a loss. I cried after that goal. Then the U.S. won in a shootout. After a controversial goal by Brazil, when the referee ordered the penalty kick to be redone – it’s still undetermined why – the U.S. played with 10 players the rest of the game. Howard Stern show won’t stop promoting “Private Parts” movie during “History of Howard Stern” – has show jumped shark? For more than a week now the Howard Stern show has been on vacation. That’s fine, but it’s completely bizarre that they have played almost nothing other than the parts of the History of Howard Stern that relate to the movie “Private Parts.” The only other things they have played have been Fred’s argument with his wife and the Jesus Twins’ appearance, and probably a few more. The movie was good, but it’s shameless self-promotion to devote almost an entire week to the Private Parts movie. It just sounds really bad to hype it so much. If we can’t get the show live, at least play Stern on both channels. If you have to play History of Howard Stern, play other things besides “Private Parts.” It’s not like that was the only thing that happened in the history of the show. Howard’s arms must be injured from patting himself so much on the back. 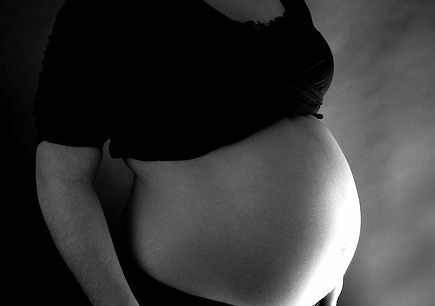 Antidepressants during pregnancy may increase the risk of autism, according to a new study. See the article on CNN.com. SSRIs including Prozac, Zoloft, Luvox, Celexa, and Paxil have been linked to an increased risk of autism.